Mercer County RC Society continues our traditional support of The College of New Jersey School of Engineering in their efforts to win this year’s International SAE Aero-Design Competition. 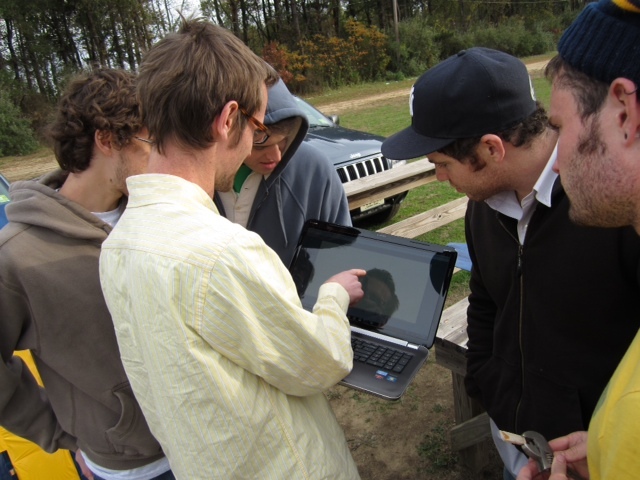 Last year’s TCNJ team of mechanical engineering seniors placed an impressive 15th out of 45. The competition requires the students to design and build an RC aircraft that can fly a prescribed mission profile – take off in 200’, circle the field, land in 400’ – with maximum payload. Points are awarded for technical design presentation, as well as payload carried. Competition rules limit the aircraft physical size, materials, engine size and other parameters. Participation teaches engineering students real-world lessons in aerodynamic and structural design, design trade-offs, communication skills and team work. 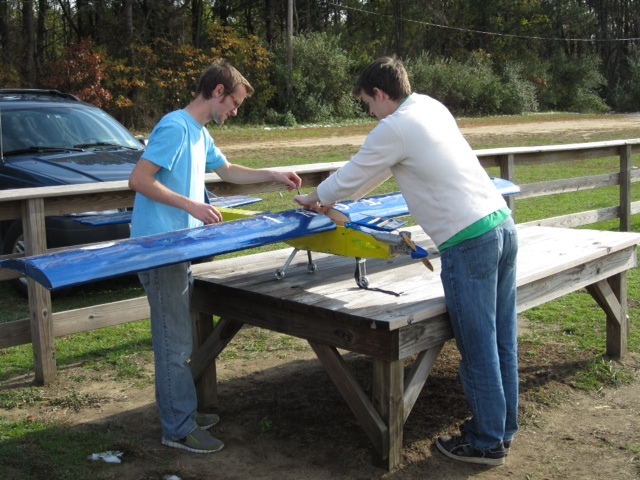 As in years past, MCRC Society is providing test-flight support for the students at the club field. The TCNJ students decided to kick-off this year’s effort by re-flying last year’s entry, to make airspeed and climb rate measurements. Seth Hunter test flew the airplane last year and again this year. Last year’s flight was better - a balance problem brought this year’s first flight to an early end. Not discouraged, the Team has started designing their entry for this year’s contest, which will be held in the Spring. The guys have some pretty interesting ideas for the new airplane!